This is a wonderful opportunity to become a more active member of our parish and learn more about the mass from a different point of view. Your role, through your actions and conduct, is to bring those attending Mass to a fuller understanding of the celebration and a greater love for God. You have a place of honor at Mass because you assist the priest in many ways, helping everyone to pray more perfectly. 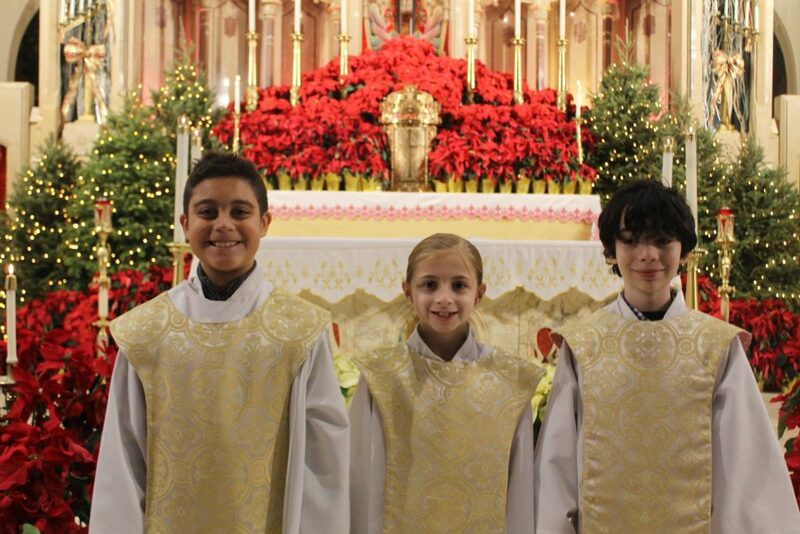 For more information or to sign up to become an Altar Server email info@SacredHearts–StStephen.com and put “Altar Server” in the subject.